The Fluke Calibration 6003A Three Phase Electrical Power Calibrator is the most cost-effective way to get the superior accuracy and performance of three independent phases in one instrument. It is an ideal solution for calibration laboratories, electronics manufacturers, electric utility meter shops, and other organizations that manufacture and maintain energy meters, power quality analyzers, and similar tools. 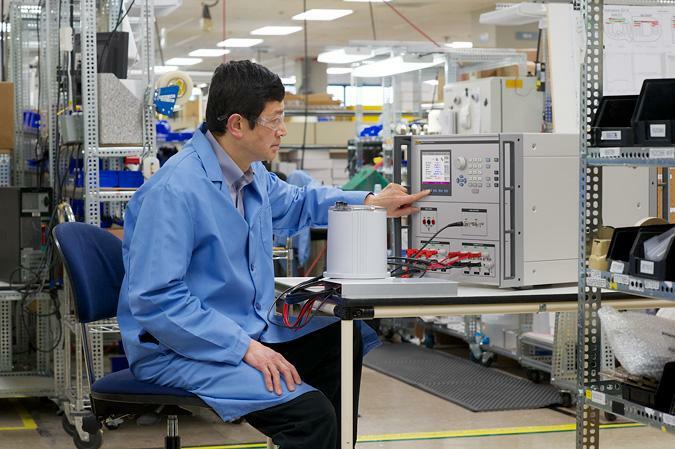 Until now, many engineers and technicians have been testing three-phase devices with a single-phase series-parallel technique, because the cost of available three-phase sources with acceptable accuracies has put true polyphase testing out of reach. With the 6003A, these professionals can now afford three-phase performance, accuracy, and ease of use. More importantly, they can now test multi-phase meters in conditions that reflect their actual usage. Along with providing three independent phases of precise voltage and current, the 6003A also sources power quality phenomena, including harmonics, interharmonics, flicker (modulation) and dip/swell variations. The 6003A includes measurement capabilities for dc voltage, dc current and frequency for measuring outputs from power and energy transducers. As a single instrument, the 6003A is easier to transport and takes up less space on the bench or cart than multi-piece units. The 6003A delivers all of this functionality with a graphical user interface that makes it remarkably easy to learn and use. 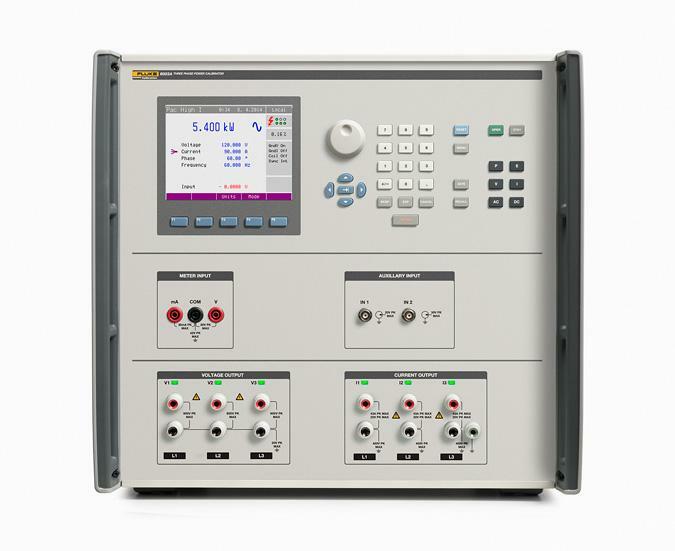 The 6003A is a single-instrument solution for single or multi-phase sourcing applications, making it ideal for many applications within electronics manufacturing companies and electric utility meter shops. 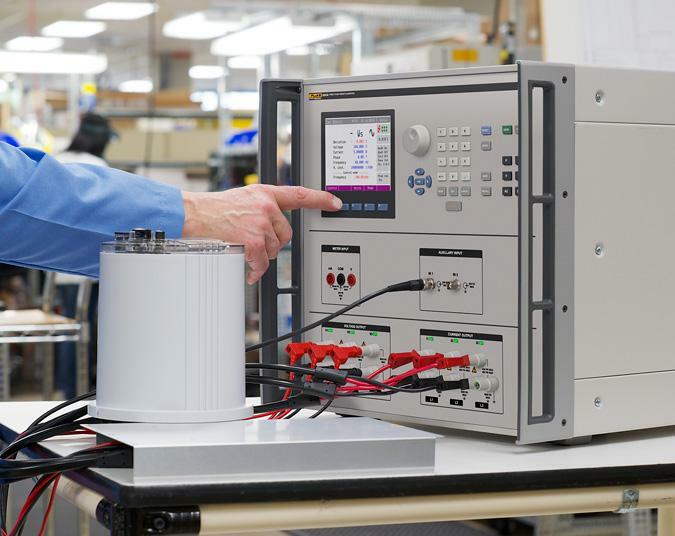 Now you can efficiently conduct final verification of power transducers, current transformers, energy meters, and revenue meters using true multi-phase testing methods. 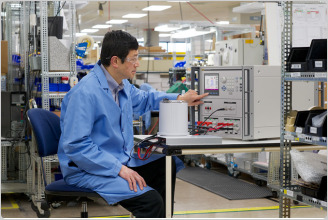 Test and calibrate single and multi-phase power meters, power quality analyzers and energy meters. Put the 6003A on a cart and wheel it easily around the factory floor to test workload in situ. The graphical user interface makes setup a snap; all three phases are readily available for verification testing. The energy option adds an energy pulse counter and pulse output to the 6003A to calibrate and test energy measurement devices. With this option, you can use the 6003A as the energy reference standard. Generated energy is compared with the pulses received from the unit under test (UUT) and a percentage error is reported for the UUT being tested. The generated energy can be expressed as a set amount (packet or dose mode), or for a given amount of pulses or time, along with a user determined warm-up period (timer and counter modes). It also has a free run mode for troubleshooting setups. A “Maintain Voltage Signal” feature provides power continuously to the UUT during different test sequences, useful when testing energy meters that take power from the voltage source. 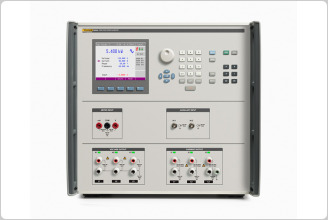 The power quality option enables the 6003A to calibrate power quality instrumentation by generating a variety of power output phenomena on any or all of the voltage and current outputs. The types of phenomena include up to 63 simultaneous harmonics, a single interharmonic, apply modulation (flicker) and impose dips and swells on any or all of the six outputs of the three channels. The 90 A adapter and high current leads accessory allows you to conveniently generate up to 90 A from a single current phase, which can help you handle your high current workload. You can also use Fluke Calibration coil accessories to support testing of current clamps making measurements up to 4,500 A. 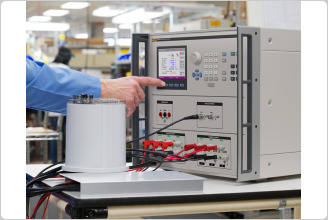 The Fluke Calibration 52120A Transconductance Amplifier can provide additional boosted current phases up to 120 A ac per phase. Multiple 52120As can be used to increase current on multiple phases. Quality standards impose stringent requirements for documenting, reporting, and controlling calibration processes and results. The GPIB and USB interfaces permit such automated control of the testing process. Users can create their custom programs to do unique and special tests. Using off-the-shelf commercial products, such as MET/CAL® Plus Calibration Management Software, can help you meet these requirements easily while also enabling you to increase throughput and streamline your meter calibration processes. The MET/CAL Plus application is a powerful tool for creating, editing and testing calibration procedures and collecting and reporting results on a wide variety of instruments. It includes MET/CAL® software– the industry-leading software for automated calibration and MET/TEAM® software– a flexible system to manage your test and measurement assets. It is the most complete software solution available to calibration professionals. MET/SUPPORTSM Gold is an annual membership program offering premium support and services to help you stay as productive as possible with MET/CAL Calibration Management Software. Services include free software updates and upgrades, free access to the MET/CAL Warranted Procedures Library, plus discounts on training and custom procedure development. Members also receive invitations to regular calibration software web seminars and user group meetings. Use only a few of the Gold services and you can easily recover more than the cost of your membership fee. 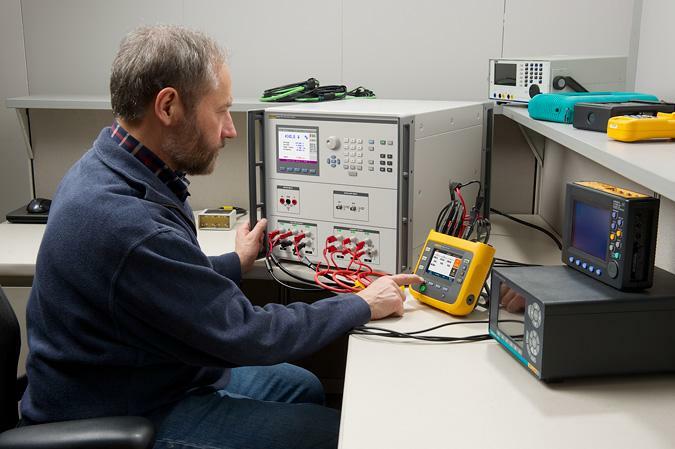 Calibration and metrology training from Fluke Calibration can help you and your staff become more knowledgeable in a wide variety of disciplines. Instructor-led classroom training is available for general topics in metrology, as well as for calibration software. On-site training can also be scheduled if you have a number of people in your organization who would benefit. Fluke Calibration also offers other educational events such as web seminars and road shows on a wide variety of topics. The best way to stay informed about these events is to register to receive email and direct mail from Fluke Calibration. You can register online at subscribe to e-news bulletins, web seminar invitations, and more. Fluke Calibration offers extensive calibration support and service to ensure your long-term satisfaction and return on investment in resistance calibrators, dc calibrators, current calibrators, voltage calibrators, and other calibration equipment. Our worldwide network of calibration centers offers accredited calibrations traceable to national standards. We also offer fast, quality repair and calibration services including a module exchange program and full support in setting up your lab.